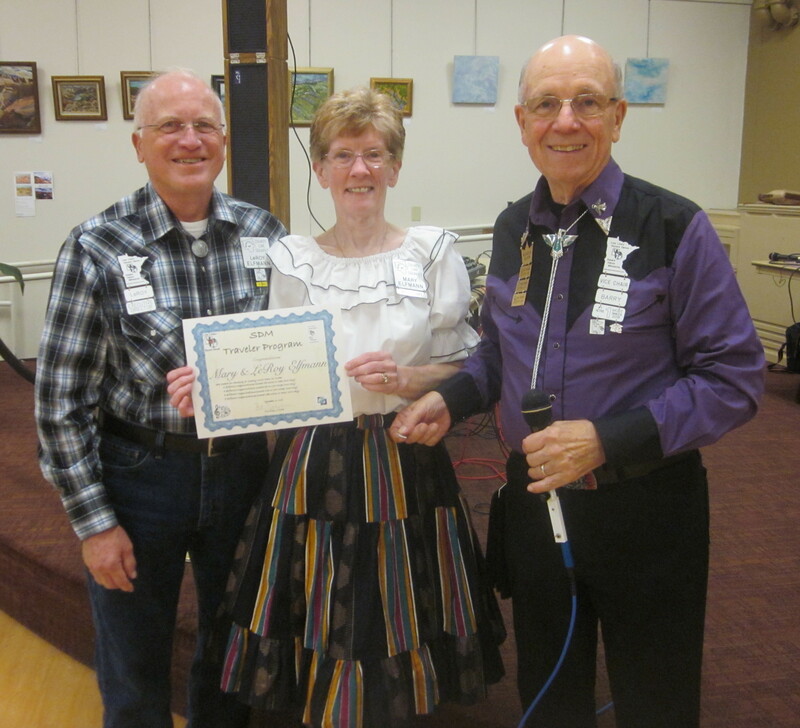 SDM Fall Festival | Square Dance Minnesota, Inc.
September 30, 2018 – SDM Fall Festival Square Dance, St Cloud, Callers Tom Allen, Andy Flint, Abe Maier, and Roger McNeil, Cuers Ken LaBau and Bernadette McNeil (see photo above). 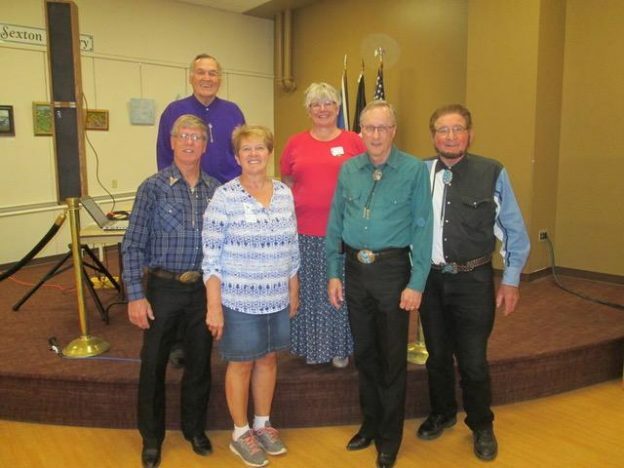 Dancers from Beaux & Belles, County Line Squares, ETTA Square & Rounds, Friendly Squares, Gospel Plus, Hot Foot Stompers, Koronis Nite Owls, L & M Squares, Rays Promenaders, Rockin’ Country Dancers, Saturday Fun Nite, Single Circles, South Metro Stars, Spares & Pairs, Wadena Whirlaways, and Westonka Whirlers were present. LeRoy and Mary received their 8th Traveler Award from SDM Vice Chair Barry Downs.